Resistance temperature detectors (RTD) accurately sense temperature with an excellent degree of repeatability and interchangeability of elements. The RTD is composed of certain metallic elements whose change in resistance is a function of temperature. In operation, a small excitation current is passed across the element, and the voltage, which is proportional to resistance, is then measured and converted to units of temperature calibration. The RTD element is manufactured by winding a wire (wire wound elements) or plating a film (thin film elements) on a ceramic or glass core and sealing the element within a ceramic or glass capsule. Since most RTDs have a low initial resistance, often 100 ohms, and have a small change in resistance per unit of temperature range, the resistance of the lead wire is often compensated for with a three or four wire bridge configuration built into the measuring devices. By selecting the proper elements and protective sheathing, RTDs can operate in a temperature range of (-200 to 650) °C [-328 to 1202] °F. Pyromation manufactures RTDs for many industry applications. 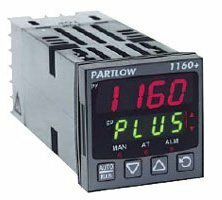 From single- or dual-element RTDs to PT100’s to Sanitary CIP types, we have the right sensor for your job. If what you need is not available from our catalog, our product engineers will design an RTD for your specific application, including temperature sensor assemblies that require connection heads, thermowells and/or transmitters.